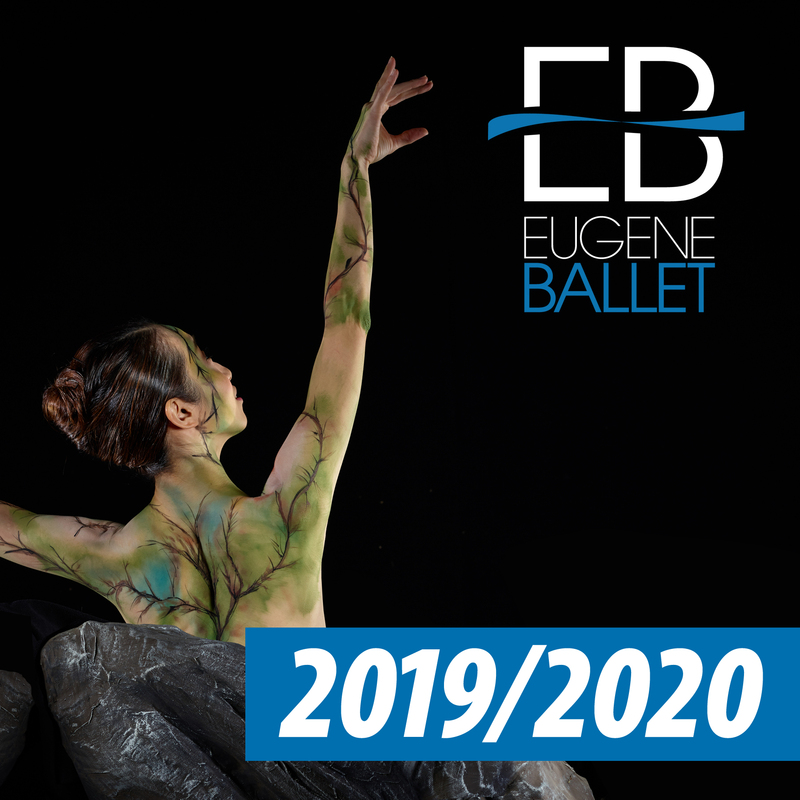 Eugene Ballet celebrates our 40th anniversary with a fabulous season of dance infused with theater, passion, and joy, including two full length ballets inspired by Shakespeare’s plays. In October we present a very contemporary Hamlet set to the music of Philip Glass by Austin Ballet’s Artistic Director Stephen Mills. In February we stage my more traditional ballet Romeo & Juliet, the story of star-crossed lovers set to Prokofiev’s score with romance, intrigue, drama, spectacular sword fighting, and stunning visual images creating landscapes of great beauty. The Nutcracker returns in December for four shows with Orchestra Next, the Cantabile Collective youth choir, and hundreds of young student dancers joining Eugene Ballet on stage at this beloved annual holiday tradition for all ages. At the Hult Center for the Performing Arts’ opening weekend 36 years ago, Eugene Ballet presented three performances of The Firebird choreographed by myself. For this very special anniversary season, Stravinsky’s The Firebird returns in an all new production choreographed by Suzanne Haag. Her futuristic retelling of the classic tale with contemporary movement captures a world in need of being reborn from the ashes. The evening opens with Italian Suite, Gerald Arpino’s supremely romantic ballet, and marks the 10th anniversary of the choreographer’s passing. In collaboration with Hult Presents, Eugene Ballet’s special event in October brings Complexions Contemporary Ballet to the Hult Center for one evening only of their incomparable tribute to the music of David Bowie. We can’t wait to see Star Dust, and the virtuosity of their dancers. As always, Eugene Ballet would not be the company it is without our national and international caliber dancers who work, play, and dream dance, and delight us all with their beauty, grace, strength, and agility. Join us, Eugene’s own ballet company and its greatest cultural export, for a fantastic 40th anniversary season of professional dance.